Despite growing pressure on the Bank of England to cool house price inflation with an interest hike, Mark Carney may have been onto an economic winner last week with his suggestion to increase bank margins, rather than the underlying base rate. 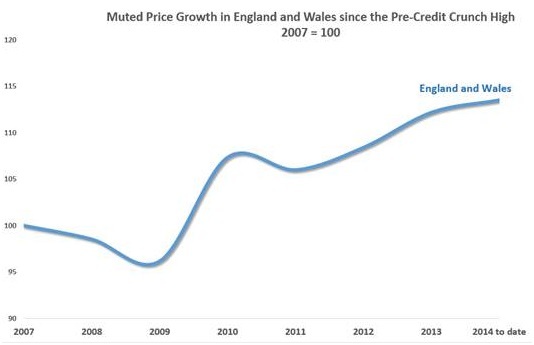 Price growth in the UK’s housing market has been muted over the last seven years with the average reaching £251,141 in Q1 2014, just 13% higher than its pre-recession level. This is because the market is sternly correlated to domestic concerns: the level of employment, earnings and mortgage availability which have all been under pressure since the onset of the credit crunch, as evidenced in the below graphs. However, as employment continues to fall, reaching 6.8% last Wednesday, and the average mortgage rate is historically low, bobbing around 3% for the last 19 months and standing at 3.7 in April 2014, the national housing market has finally got some wind back in its sails. In this current healthy economic climate, the BoE now have some leeway to increase the cost of borrowing according to research by London Central Portfolio (LCP). The Specialist Residential Asset Manager have assessed overall affordability in the housing market by determining the total cost of buying a property (average mortgage rates multiplied by average house prices) in relation to labour market variables (average earnings multiplied by employment rates). Commentators who suggest that housing and earnings are out of kilter as UK average property prices are reportedly 10 times higher than earnings, compared with 5 times 20 years ago, are not looking at the whole picture. LCP’s calculations show that that housing is actually at the most affordable level in 35 years, just piping 1995, when the market was experiencing a strong bounce back from the significant downturn in 1989. This was the period when affordability was at its most strained in the face of the 100% increase in interest rates over one year together with the doubling of house prices in four years. This was the catalyst for a nosedive in property prices, which corrected when affordability balanced out. According to LCP, mortgage rates could rise much closer to their 20 year average of 5.8%, without adverse effects, identifying that the market could sustain a gradual rate rise of up to 5.1% over the next 5 years. 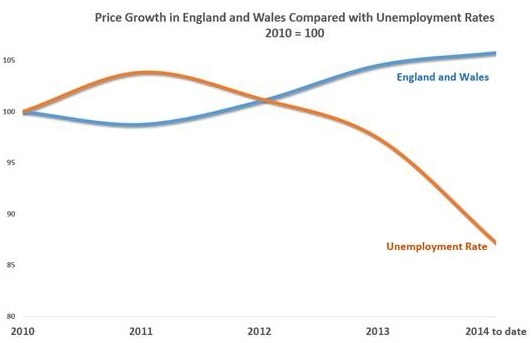 They have assumed that unemployment will continue to fall 2% a year, earning will rise 3.5% a year and national house prices will appreciate 5% per annum – akin to where RICs would endeavour to cap UK price growth. 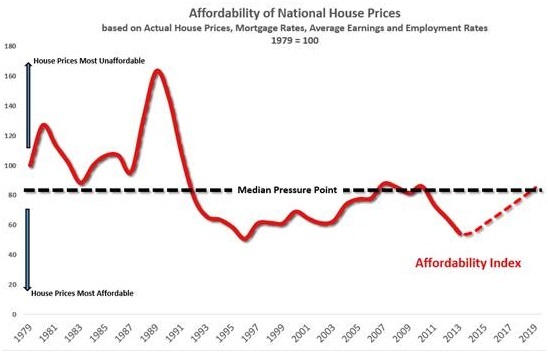 Any move to increase mortgage rates above this level would see affordability crossing the median pressure point in the market, which could see a catastrophic fall in property prices. This could have detrimental consequences for the UK’s fragile recovery, leading to repossessions and homeowners in negative equity. Were house prices to grow at a much higher level, in line with the long term average of 10.9% since 1969 (when the first dataset from the Council of Mortgage Lenders is available), mortgage rates could instead only withstand a smaller rise to 4% over the same five year period, without similar negative fallout. LCP’s research has also called into question the rampant fears of a current house price bubble in the UK’s property market. Price growth was just 4.7% across last year, substantially lower than the long term average of 9.7%. Indeed, in 2002 and 2004, price rises were 16.1% and 14.8% respectively and between 2000 and 2006, prices rose a staggering 89% as they finally recovered from the fall in 1989. 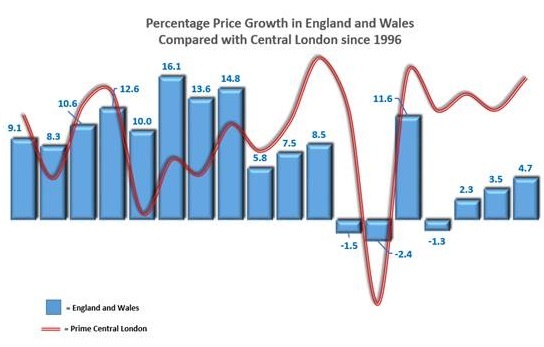 Comparatively, prices in Central London, which is affected by international factors, rose just 51% over the same period as investors were battered by the fallout of the dotcom bubble, a flagging stock market, 9/11 and Iraq. The truth is, the national housing market has a habit of self-regulating when it overheats or when mortgages become more expensive and it therefore becomes unaffordable. 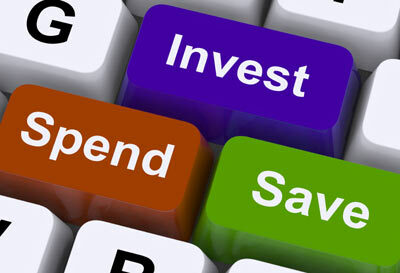 A sensible move by the Governor to gradually increase borrowing costs over the next few years by making loans more expensive will merely accelerate this process. Whilst savers might not welcome the prospect of extended low base rates, this strategy should have the desired effect of cooling the housing market whilst maintaining debt affordability for businesses – the powerhouse for Britain’s economic recovery.